On the way to Nagoya yesterday we had a short stop in Shizuoka, and being so close to the home of Gunpla, it would’ve been rude not to drop by! 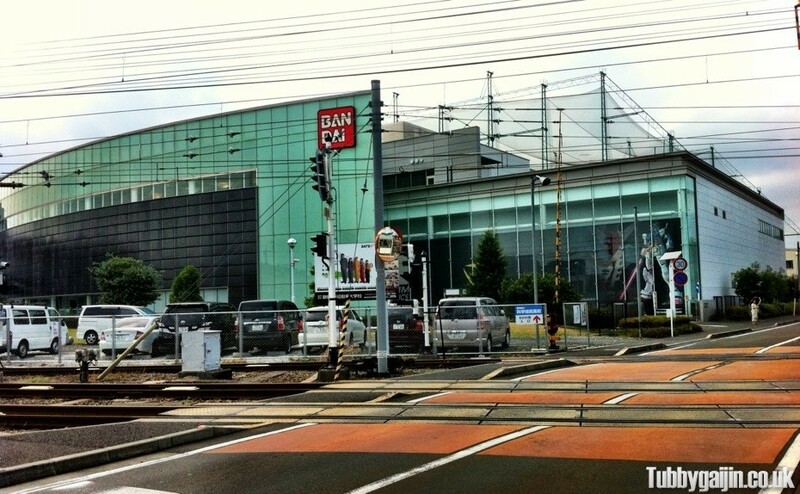 Bandai Hobby Center, a production factory for Gunpla kits and other plastic toys is located east of Shizuoka, a short walk from Higashi-Shizuoka station. It’s a really sleek, futuristic building(as you would expect from the creators of Mobile Suit Gundam) sporting a large bank of solar panels on its curved front to supply power to within. 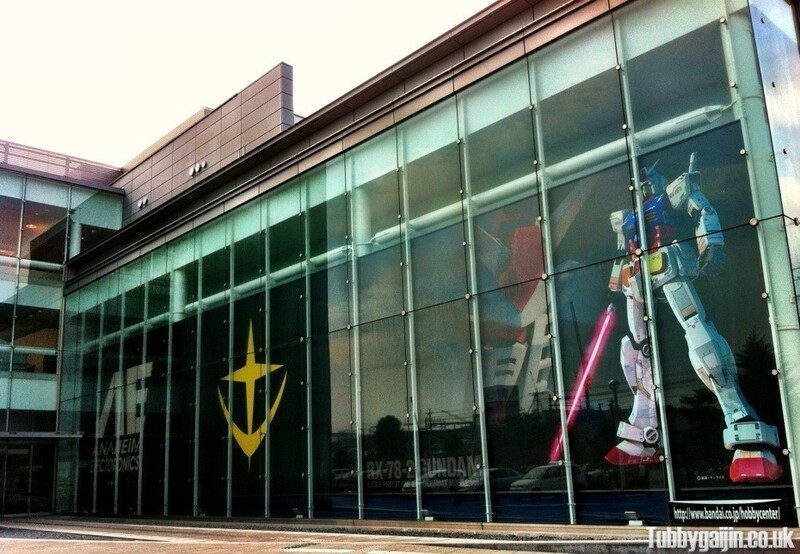 A large glass wall near the main entrance was adorned with the Anaheim Electronics and Earth Federation logos, along with artwork from the RG RX-78 box – a giant version of which will incidentally be in Osaka Station from August 15-21st! The building stands as a proud testament to Bandai’s “Made in Japan” ethos, opting to manufacture at home using techniques of traditional Japanese craftsmanship, instead of overseas as many companies do. Bandai attribute much of the continued success of Gunpla to this careful attention to detail and craftsmanship – I’m inclined to agree. oooh you so make me jealous,oh and happy belated birthday!